Rugged bags are made of 75 percent recycled plastic, containing 10 percent post-consumer material. The premium blend of recycled plastics makes them puncture-resistant and ideal for all trash applications. Flat bottom construction makes them virtually leakproof and holds up to 30 percent more than star-bottom bags. The individually folded bags are packed in a one-at-a-time dispenser carton for ease of use and portion control. 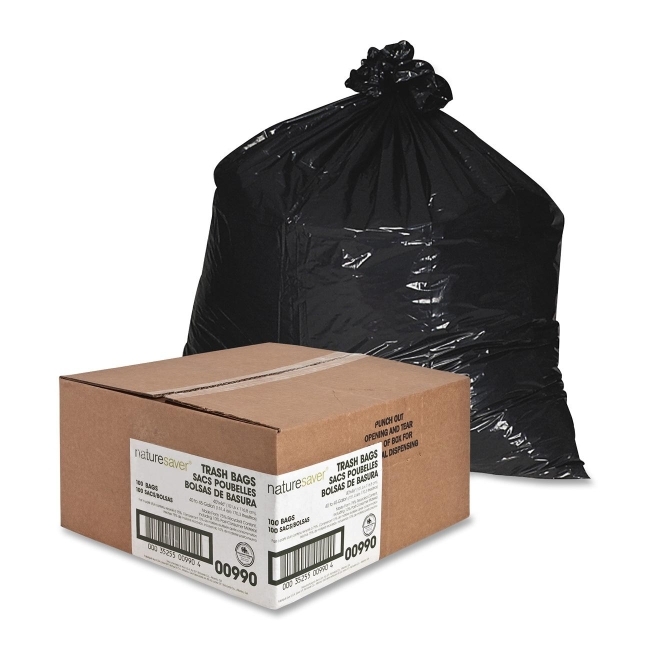 The opaque black colors hide unsightly trash.